4 Seas marks his debut on Digital Euphoria Recordings with a stunning single. This is 'Ergaticus'. The Russian producer delivers an outstanding piece of music. 'Ergaticus' has everything to please every trance fan. From its simple but incredibly powerful bassline, to its euphoric and driving melody, to its sublime orchestral breakdown that builds up to an epic climax filled with emotions. The Club Mix shortens the breakdown and focuses on the incredible drop. This is the perfect peak-time track to lift your dancefloor up with power and emotion. 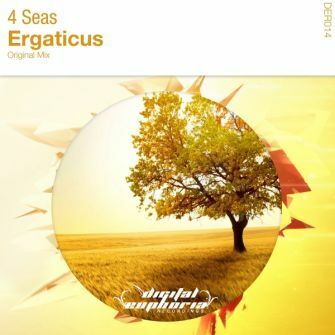 4 Seas makes a remarkable debut on Digital Euphoria, and we are confident that this is only the beginning of his journey!